on 11.10.18 will run via its normal route instead of diverted route which was said earlier.▶️Due to effect of cyclone TITLI , train will be rescheduled to leave Howrah 09.25 hrs instead of 07.25 hrs on 12.10.18. 17064/17063. 5 Rakes Combined. PM @ SC , SM @ SRC. 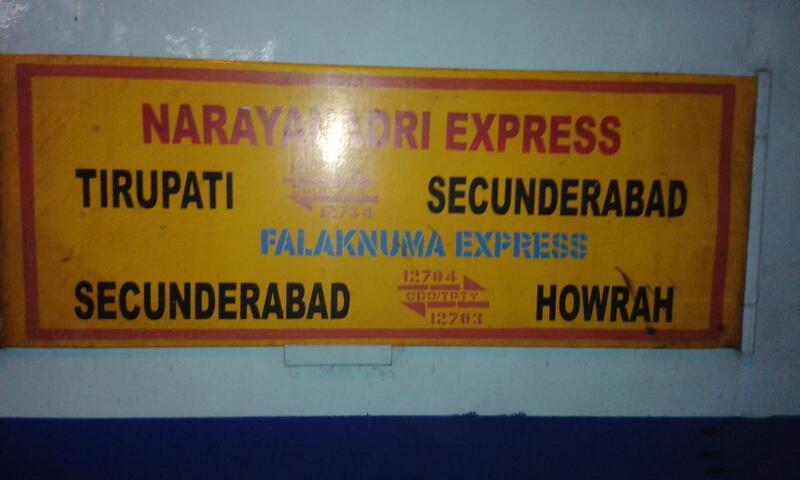 The Shortest Route between Howrah Jn and Secunderabad Jn is 15 km (1%) shorter.